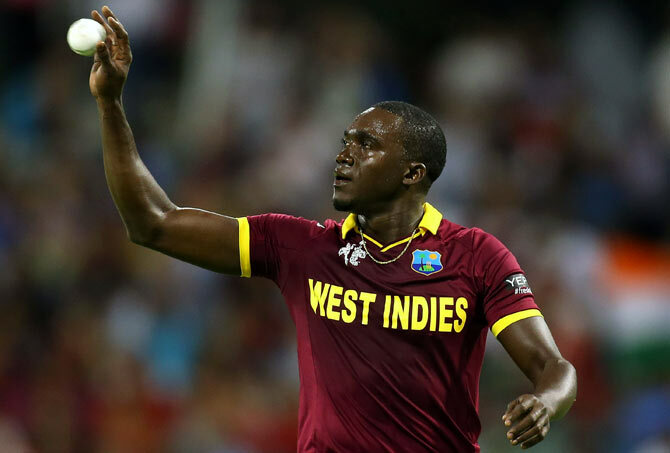 Mumbai Indians have called up West Indies fast bowler Jerome Taylor to replace the injured Sri Lankan paceman Lasith Malinga for the remainder of the ninth edition of the Indian Premier League. "Taylor will be available for selection for MI subject to the completion of contractual paperwork formalities," the Board of Control for Cricket in India said in a media release on Wednesday. The pacer has previously played in IPL representing Kings XI Punjab and the now-defunct Pune Warriors franchise. Mumbai Indians pace spearhead Malinga was ruled out after the medical team found him unfit because of a recurring knee injury. He has played 98 matches in IPL since joining the Mumbai Indians in the 2009 season. Meanwhile, Royal Challengers Bangalore have signed England all-rounder Chris Jordan as a replacement to Australian fast bowler Mitchell Starc, who was ruled out of the remainder of the IPL due to a foot injury. Jordan has build-on a reputation as a white-ball 'death' bowler during England’s recent campaign in the World Twenty20 final at Kolkata’s Eden Gardens ground, taking six wickets in a tournament where his side finished runners-up to the West Indies. Jordan will join fellow English cricketers - Jos Buttler, Sam Billings and his national T20 captain Eoin Morgan in IPL 2016. - Vote: Who will win IPL 9?